Daihatsu, one of Japan’s most respected and is the oldest dominating automobile manufacturer, takes its car designs to a new level as it teamed up with Nezu Kota and Sun Junjie and other several popular Japanese designers to incorporate as they offer customers 3D customized skins for Copen convertible powered by Stratasys, a well-known company that 3D printer manufacturer. Established on 1951 Daihatsu is widely known in Asia and Europe. Daihatsu is a MUFJ company member, Toyota also distributes their cars in North America. Daihatsu is popular in Japan as it manufactures cars with small, unique and quirky designs that appeals to the Jpop culture. 3D printing started from merely printing prototypes of various industrial materials to successfully be used to produce end products, especially in the automobile industry as there are now 3D cars who are road ready and to be released soon. Partnered with Snug Design’s Nezu Kota, Sun Junjie and among the most talented designers in the country Daihatsu’s customization lures the spot light for style and unique designs for cars. Nezu Kota as a designer who is popular for its designs and is the author of the popular electronic motorcycles in the country. Stratasys has provided Daihatsu with their Stratasys Fortus 3D printers. These printers are known to produce a thermoplastic material that is one of the most moldable and durable, at the same time, material making it perfect for bumpers and flaring for cars. 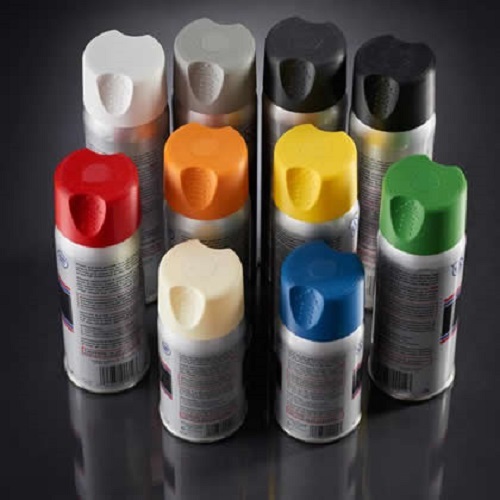 Stratasys products also promise to maintain its color and shine as it is UV resistant, smooth and easy to clean. There are ten colors available in the production, namely white, dark gray, light gray, ivory, red, orange, yellow, green, dark blue, and black. 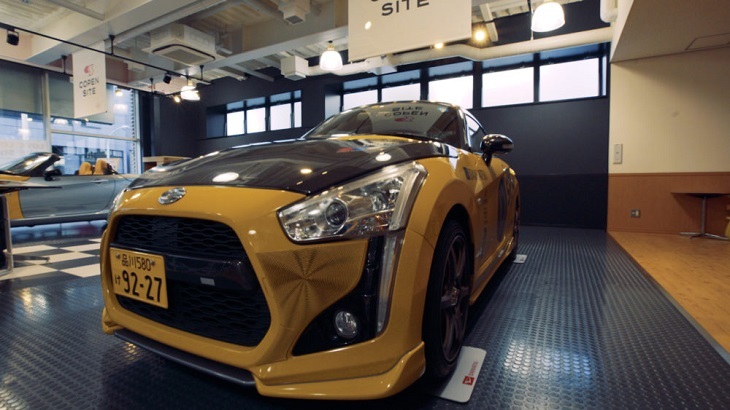 This collaboration, Daihatsu and Stratasys 3D printers, give the consumers the freedom to choose from a vast variety of designs for automobile customization. From oriental designs like weave of basket and carpets to completely modern and electronic designs to surfaces beyond the imagination of the designers. With this there can be limitless possibilities in design and style. This is due to 3D printings effective production procedures. 3D printers use scanners in order to accurately print edges and slopes on the desired design of the customer. Because of this 3D produced products are one of the most précised manufactured products, making it popular in the automobile industry where precision and accuracy reigns supreme. Stratasys also gives Daihatsu the most important aspect in automobile and automobile customization, time. 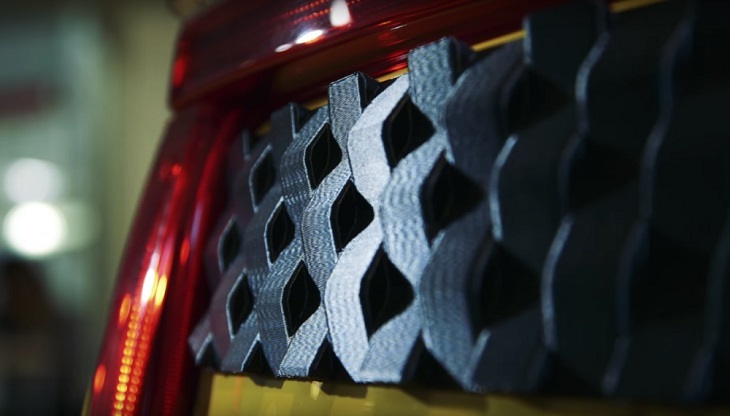 3D printing allows Daihatsu to cut more than 50% manufacturing time for their products, with 3D printing what takes months of production can now be done in only weeks’ time. 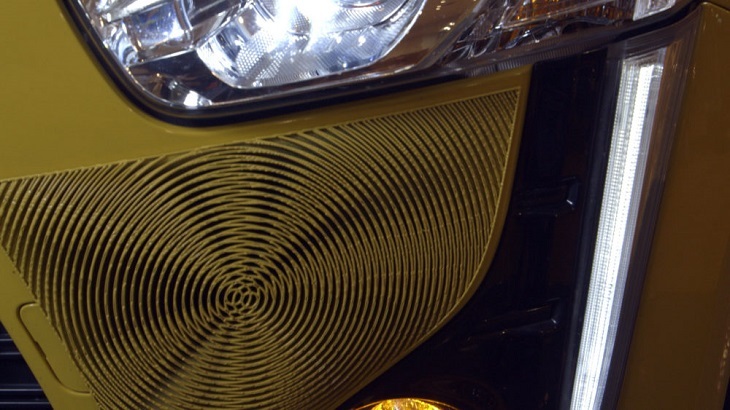 Unique designs, authored by popular talents and the manufacturing prowess of 3D printing, these dynamic combos surely can transform Daihatsu cars, from simple to extraordinary as they now run across the country.